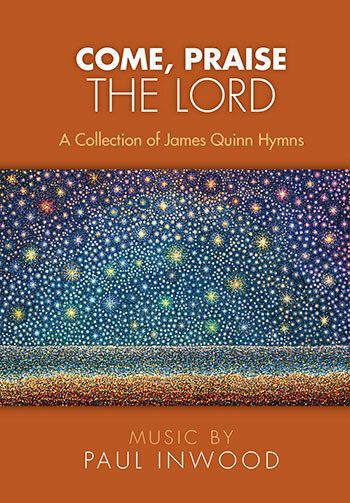 Renowned hymnodist James Quinn, SJ lives on in this collection of 27 hymn settings with music by Paul Inwood. A close friend of Quinn's, Inwood set out to fully realize and capture these works more than 50 years ago. Though never published, these compositions remained intact and have been refreshed for 2018. For any who loved Hymns for All Seasons, this songbook is sure to be a favorite in your repertoire. In the late 1960s, Fr. Quinn's 100 texts were sent out to various composers for musical composition. The original concept called for both traditional and new settings, but Paul Inwood was the only one to submit new material. The project was then abandoned due to lack of participation, and when New Hymns for All Seasons was released in 1969, Fr. Quinn's work was only seen through traditional hymn tunes. In the 1970s, Paul urged Quinn to write hymns in more unconventional meters. Many artists were looking to experiment from a musical standpoint, but it needed to begin with the hymnodist. And so, Quinn set out to create from a new point-of-view and push the boundaries of hymn writing. What we are now left with is a compilation of both conventional and unconventional meters. The music that followed was, by nature, unconventional as well. Paul noted that many of these hymns contained "unexpected melodic twists and harmonies." However, it has since been updated to accommodate the players of today. Many of the compositions from the early '70s feature a similar "pattern" as described by Paul. Within this pattern, the words follow the same rhythm, as does the melody. The language used is refined; stripped clean of verbosity and diction. It is simple, yet powerful. And it is for this reason that it is both easy to learn and soon to be enjoyed by all. For more by James Quinn SJ, check out Hymns for All Seasons. Edited by Paul Inwood.